Headed to the Edinburgh International Book Festival in Edinburgh, Scotland, to talk about my memoir "Le Freak." My engagement is on Sunday the 19th. 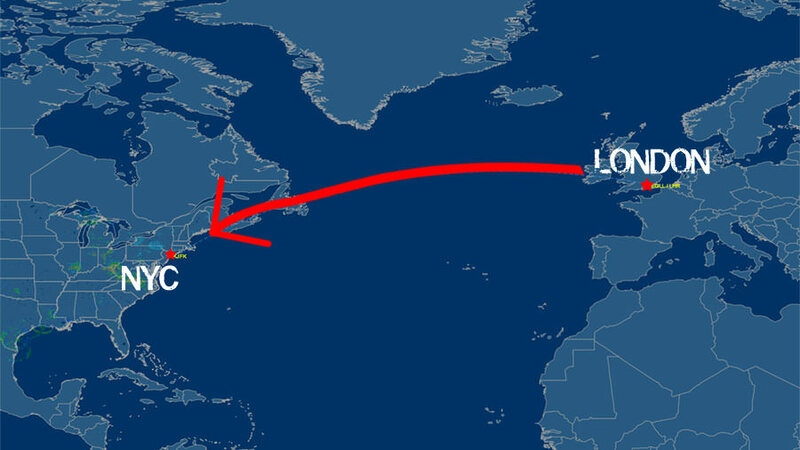 Here's the info on this trip from NYC > Edinburgh. Over the last few days I've had tons of meetings to plan for the rest of what's already been an exciting year. Just when I thought I couldn't get more hyped up about the future, I got a call from Daft Art's Paul Hahn. He was in New York and so was I - we figured out a way to meet between our other meetings. We linked up at the bar at Michael Jordan's restaurant in Grand Central Terminal. We talked about as many things as we could fit into our quick meeting. Suddenly, I remembered I had to make a few calls because I was late for my next meeting since my earlier ones had gone overtime. Paul was cool with my frenetic situation. As soon as I hung up we jumped back into our conversation without dropping a beat. We marveled about some new technology, some visual concepts, and how many things had come together over the last few months. We talked about my Fender Stratocaster nicknamed "The Hitmaker," my plexiglass Guitarman nicknamed "The CHIC-ocaster," and of course the current state of the mixes for the next Daft Punk Album. I'm Hyped. Me playing my Fender stratocaster nicknamed "The Hitmaker"
My plexiglass Guitarman nicknamed "The CHIC-ocaster"
Today I did a TV show called Unsung. It's a really exceptional music series and I've watched several of them on YouTube. During one of the breaks between shooting, I checked my email and I'd gotten a letter that made my heart jump for joy. It was from Luci Martin, who was in the second incarnation of the CHIC Organization (from C'est CHIC to Believer). She talked about how much we used to laugh, the true love we have for one another, and how that love will never go away. She didn't have to say that because I've always known that, but it was nice to read. I have deep unending love for her and every CHIC alumni. My dearest Lulu, your email was perfectly timed. It hyped me up better than a Starbucks Double Espresso Macchiato. I ran back down to my basement where the camera crew was set up and finished the four-hour long interview about the history of disco with clarity, gusto, and a big smile on my face. I'm grateful for a life where I've been able to work with some extraordinarily talented people which continues To This Very Day. After I finished my last show I had one hour to pack. I then had to travel all night and day before I finally got home to my own bed. The show had taken place in Liss Ard, Cork County Ireland. It was near the town of Skibbereen and it wasn't exactly easy to get to or from. When I finally arrived home I checked my email. The very first message was a clip that someone had shot of me during a book signing event in Belfast, Ireland shot a few days ago. The clip starts in the middle of me answering a question about what it was like to work with Stevie Ray Vaughan and it continued with the story of the song "Let's Dance" by David Bowie. It was the first song Stevie Ray had heard from what would be The Then Next Bowie Album. Thus far I've only gigged in the Republic of Ireland, Galway, Cork, Dublin, and our first gig at the Electric Picnic. They've all been amazing. I'm so looking forward to coming back there to play the Button Factory in Dublin, but also performing in Northern Ireland for the first time. We have a large group from Belfast that show up at CHIC shows in England. I did a keynote speech in Belfast for Music Week that kicked off the MTV Awards, but there is nothing like connecting with the people through performing our songs for me. Our set list will most likely include not only music by my group CHIC, but a number of records I've written and produced for others that CHIC played on originally: David Bowie, Sister Sledge, INXS, Madonna, Diana Ross, Sheila and B Devotion (He's a "Spacer"), and maybe a few others depending on the vibe of the crowd. I'm guessing Belfast is going to be as breathtaking as our gigs in the Republic. The power of music supersedes economics and politics. When I was younger I'd save my pennies to hear the music that moved me because the experience enriched my spirit. The sole purpose of our music is to move your hearts, feet, and your A$$es. When we arrive on the largest island in Europe, We're Coming to FREAKOUT! THE GALWAY SHOW WAS JUST ABOUT PERFECT! We're coming to Ireland to FREAKOUT! 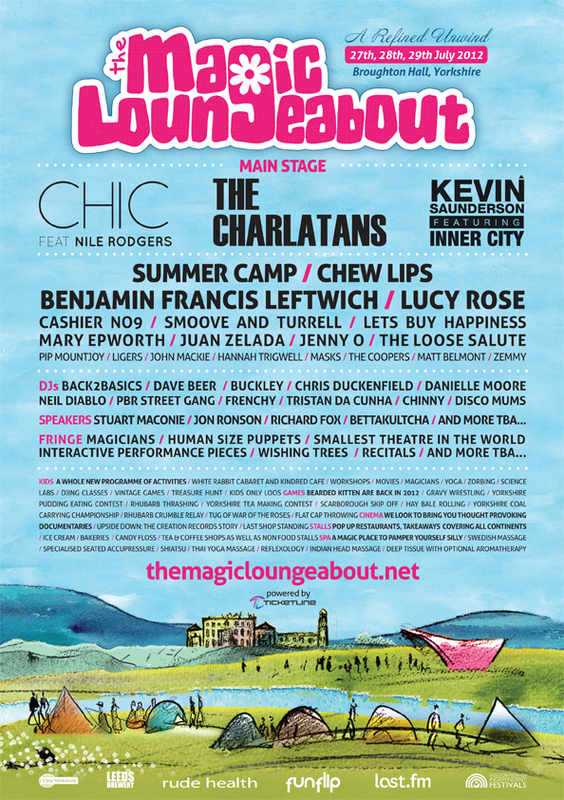 Next stop Yorkshire, UK (via Manchester) for the Magic Loungeabout! Then Camp Bestival, Belfast, Dublin and more. It's Back to Europe! The human body is amazing, wonderful, and complicated. Tomorrow, I'm playing a concert in NYC at Lincoln Center, and immediately after flying back to Ireland to play a series of concerts, then I go back over to England, followed by a show in Monaco, and all in just the next few weeks. I'm not complaining. I have the greatest job in the world. I get to play and hang with some of the coolest people on earth. Look at the happy faces in this post. Believe this: as happy as the fans are - I'm twice as happy to be there playing this music I love so much. And you have my word that I'll funk my heart out until My Dying Day.